Casting fresh light on the renowned productions of auteurs such as Antonioni, Fellini, and Bresson and drawing out from the shadows a range of important but lesser-known works, "Screening Modernism" is the first comprehensive study of European art cinema's postwar heyday. 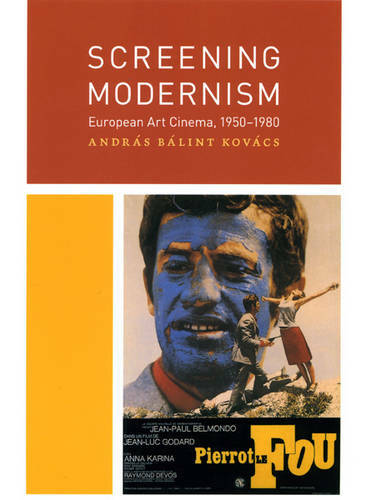 Spanning from the 1950s to the 1970s, Andras Balint Kovacs' encyclopedic work argues that cinematic modernism was not a unified movement with a handful of styles and themes but rather a stunning range of variations on the core principles of modern art. Illustrating how the concepts of modernism and the avant-garde variously manifest themselves in film, Kovacs begins by tracing the emergence of art cinema as a historical category. He then explains the main formal characteristics of modern styles and forms as well as their intellectual foundation. Finally, drawing on modernist theory and philosophy along the way, he provides an innovative history of the evolution of modern European art cinema. Exploring not only modernism's origins but also its stylistic, thematic, and cultural avatars, "Screening Modernism" ultimately lays out creative new ways to think about the historical periods that comprise this golden age of film.